It seems like no matter what you do it is inevitable to avoid coming down with some kind of cold or flu right now. ‘Tis the season, right? Don’t worry! 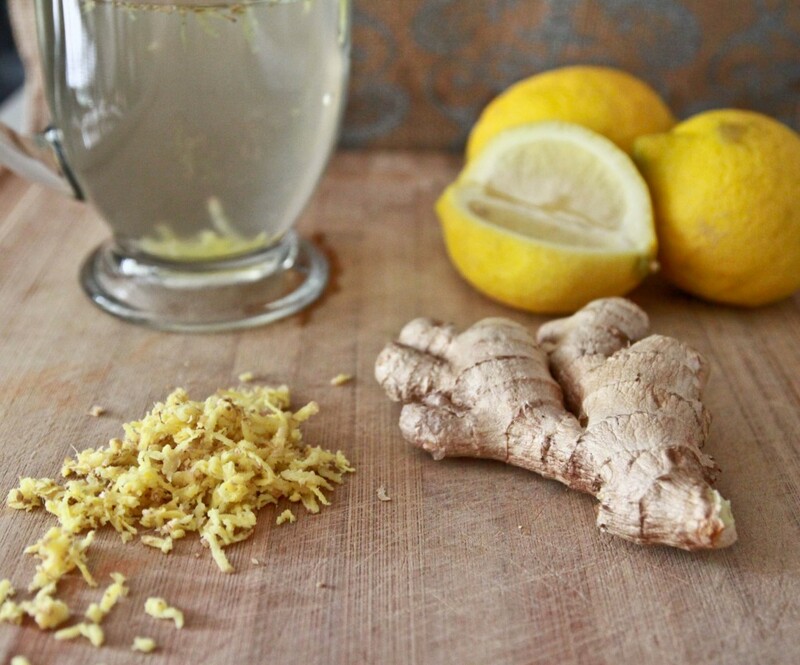 I am here to help with this amazing cure-all Ginger, Lemon + Turmeric elixir. Whether it’s a debilitating flu, a mild cold, or a pesky cough that you can’t seem to kick – this easy homemade elixir will have you feeling better in no time. It is super easy to make, actually tastes really good, and drastically helps with congestion and inflammation. Aside from its cold and flu curing properties, each ingredient contains amazing health benefits. This is also a great drink for anyone who experiences congested sinuses or chronic sinus problems. Boil water, add all ingredients and mix well. May garnish with parsley or basil leaves. Ginger is a great anti-inflammatory and immune booster. It helps to also improve digestion, absorb and assimilate essential nutrients throughout the body, ease muscle or joint discomfort, clears ‘microcirculatory channels’ (including sinus cavities), and helps to clear nose and throat congestion. Lemons are alkaline forming, helping to balance the pH balance in the body. The citric acid allows the breakdown of bile and dissolves any other toxins in the body, also helps flush out the kidneys and colon of toxic build up. Lemons also contain Vitamin C, which helps to neutralize free radicals and boost the immune system. Cayenne has many health benefits. It contains anti-inflammatory, anti-allergen and anti-fungal properties. Cayenne is a great anti-flu and anti-cold agent as well, as it breaks down mucus and flushes from the body. It increases circulation, speeds metabolism, helps digestion, and significantly aids in digestion. Raw Honey contains many vitamins and nutrients, including B vitamins and Vitamin C. It also contains vitamins such as sodium chlorine,magnesium, calcium,potassium, calcium, copper, iron, manganese, zinc and phosphate. It is soothing to the throat and also contains anti-inflammatory, anti-fungal, and anti-bacterial properties. Honey is a great source of anti-oxidants, supports healthy bacteria in the gut, and provides a natural energy boost (much needed when you are recovering from being sick!). Make this today and I promise you will experience a notably faster recovery. I sip it warm throughout the day, or have a big mug of it at night after dinner. Even when I am not sick, I like to drink it to maintain a healthy immune system and gain all of the health benefits it has to offer.